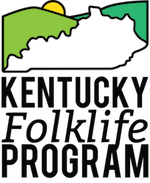 In addition to our ongoing Pioneer Log Cabin Concerts series, the Kentucky Folklife Program is launching a new monthly jam. Join us for good songs and good fun as we explore a new genre of music each month. Information for each month’s event will be posted under the “Projects and Events” tab above. Please contact Folklife Specialist Virginia Siegel for additional information at (270) 745-4133. Previous Previous post: Sign up for our new e-mail newsletter!